Please join us on Worker Memorial Day to honor those who have died in 2017 from a work-related injury or illness in King County. This special ceremony will raise awareness about how we can strengthen our commitment to make jobs safer and save lives in Washington State. This year's speakers will focus on the safety and health implications of sexual harassment and gender disparities in the workplace. 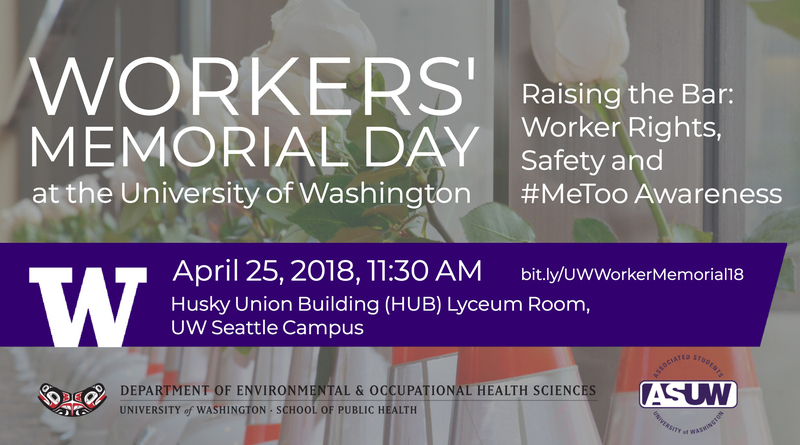 We will hear from speakers including Nicole Grant, Executive Secretary Treasurer of the ML King County Labor Council, and Alice Lockridge, Washington Women in Trades.